The NFL’s unpatriotic anthem protesters have become unhinged. Since the ring leader Colin Kaepernick is unemployed, comrade Michael Bennett of the Seattle Seahawks has picked up the slack. In response to Cowboys’ owner Jerry Jones requiring his players to stand for the national anthem, Michael Bennett drew an incredibly disrespectful parallel. Bennett essentially accused Jones of being a slave owner. 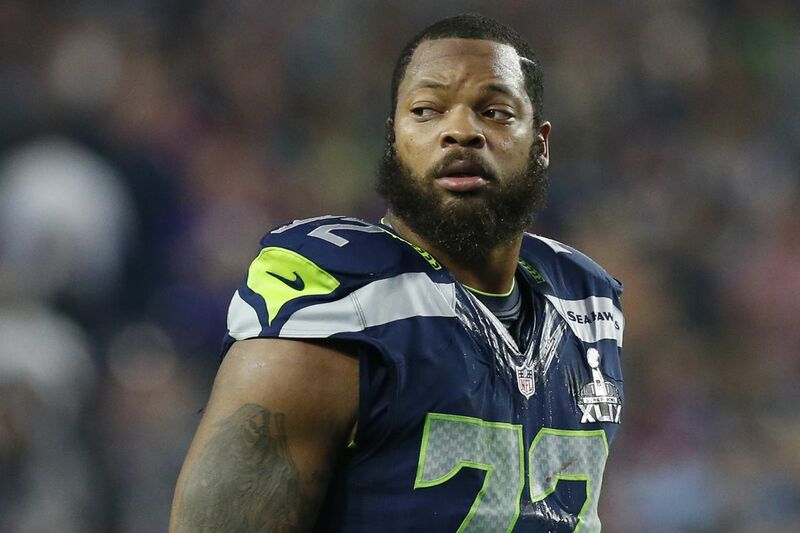 Seattle Seahawks defensive end Michael Bennett compared Dallas Cowboys owner Jerry Jones’s decision to sit players who do not stand for the national anthem to the Dred Scott Supreme Court decision. Bennett’s remarks came during a discussion in which the outspoken player promised to not stand all season when the “Star Spangled Banner” plays and says no understanding between players and owners can occur until a team signs quarterback Colin Kaepernick, who launched the anthem protests during the 2016 preseason, to a contract. NFL ratings through the first six weeks of the 2017 season decreased 7.5 percent compared to last year’s first six weeks and 18.7 percent from the first six weeks of 2015. Credit Suisse explicitly cited tanking NFL ratings in downgrading earnings expectations for both CBS and Twenty-First Century Fox within the past month. With the protests potentially costing the league hundreds of millions of dollars, NFL Commissioner Roger Goodell curiously held an activism summit with players earlier this week and lent the league’s endorsement to a law reforming federal sentencing laws. The commissioner refused to entertain the idea of punishing players who disrespect the flag the way the league punishes players who wear certain clothing brands on parts of team property, listen to music on unapproved headphones on fields, or bring handguns to work. Bennett sounds like a hostage taker negotiating the release of his political prisoner brethren Kaepernick. Thirty-two teams are free to sign Kaepernick, and none of them want to, including Bennett’s team. Does that apply to Bennett’s teammates? Perhaps Bennett should solve this “injustice” by getting his own team to sign Kaepernick. Also, it’s a shame that in the freest and most prosperous country in the world, someone making millions of dollars can have the audacity to compare his plight to that of slaves. A rule from a team owner that’s essentially tantamount to a dress code shouldn’t ever be compared to the brutality of slavery.